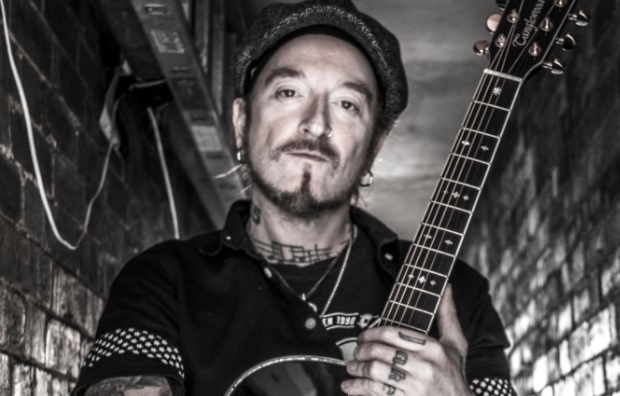 Ginger Wildheart has launched a brand new record label, Round Records. The label is set to act as a home for the many and varied projects that Ginger is a part of, including Hey! Hello!, The Wildhearts and more. Arguably Ginger’s most ambitious project to date – moving from stand-alone individual releases to a fully-fledged record label – PledgeMusic is proud to be partnering with Ginger and Round Records to enable fans to pre-order new releases and access a host of extra and exclusive offers. Says the man himself: “Round Records allows me to further explore what can be achieved using the direct-to-fan formula. “My last project was a fan club, something that I had always enjoyed as a kid. When I realised that a lot of people didn’t even know what a fan club was the logical next step was to introduce a record label whose logo was as iconic and the music it releases. “Growing up with Stiff, Sub Pop and Def Jam I always loved the idea of a ‘fair’ record company, but I’ve had precious little personal experience in record companies being anything more than a smokescreen run by corporate suits with very little understanding let alone love for the music. Ginger and PledgeMusic have history. In August 2011, Ginger launched his Triple Album Project via the platform. The pitch was to record a 30-song triple album and the campaign met with immediate success, hitting 100% of the funding target within six hours of launching. The resulting album was a huge success for Ginger and won him the Classic Rock magazine ‘Event of the Year’ award. Subsequent projects with PledgeMusic have delivered equally stunning results; the last one being a book entitled Songs & Words, which featured archive photos and the stories behind Ginger’s songs as only Ginger could tell them. Not going to dispute that Dave, but the man himself is presenting this incarnation of Round as a new label, and we’re happy to report it as such.